In a time when the music industry is heavily dominated by male artists, a small revival of female rock bands are thankfully coming out of the woodwork. If you are not familiar with the Riot Grrrls, it was a movement of music and culture in the early ’90s that revolved around feminism, political activism and rock and roll in Washington State, that later spread across the country. Even though it became a recognizable genre in the ’90s, one of the first and most notable Riot Grrl bands was The Runaways, a powerful all female rock band including musical legends such as Joan Jett and Lita Ford; keep in mind, this was pre-The Black Hearts. Despite the band rising to fame in the ’70s, The Runaways paved the way for a plethora of many female punk bands to come decades later. The sub-genre of punk rock went on to create other iconic female bands such as Bikini Kill and Sleater-Kinney. Come the 2000’s, the demand for all female punk rock bands heavily decreased as the following grew bored and transitioned into more mainstream music, which at the time was most definitely rock. Male fronted bands like Sum 41, My Chemical Romance, and Fall Out Boy were all slowly rising to fame and the Riot Grrrls faded away for what seemed like forever. This was until a couple of years ago. Here a few punky, indie, powerful, and riot grrrl-esque bands you should be listening to RIGHT NOW. Despite this band going through countless lineup changes, leade singer Clem Creevy is the founder of this heavily punk influenced band and has made the band who they are today. Cherry Glazerr have been around for a while and still remain underground, yet are quite popular among the indie crowd. Even though Cherry Glazerr consists of majority female members, and has in the past, they do have one male member. However, similarities to riot grrrl music is so prevalent when listening to this band. The full-frontal vocals and loud instrumentals are most definitely an ode to the once-famous genre. Cherry Glazerr released their second album, Apocalipstick, this year and are currently on tour with Foster the People. This four-piece punk/indie rock band hails from Spain! That’s right… SPAIN!!! These girls are starting to make a name for themselves in not only their native country, but also America and the U.K. 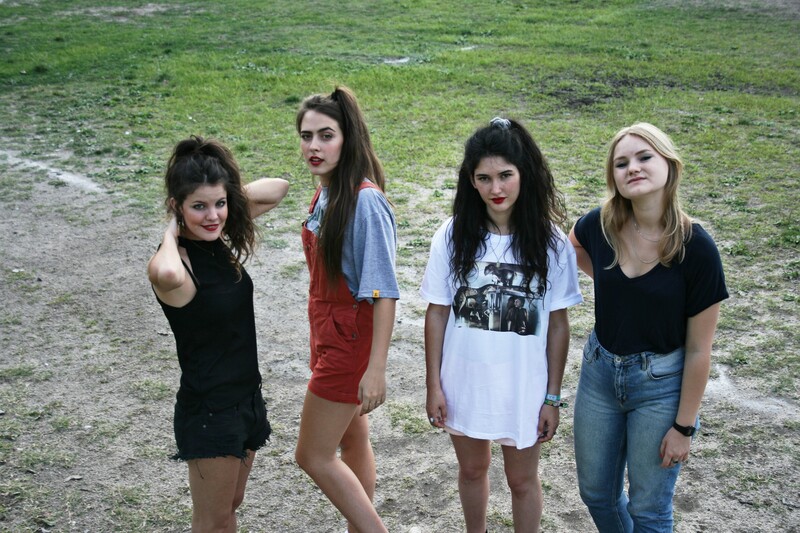 Between their line of quirky clothes at Urban Outfitters to their most recent tour with Twin Peaks, Hinds are probably the most popular band you’ve never heard of. At the moment, they are in the studio writing and recording their second album, however, their first album, Leave Me Alone, did remarkably well amongst the alternative scene. Hinds are also a personal favourite of mine and I’m a bit biased because I love everything they’ve done… but I won’t let that get in the way of telling you how talented they are!! Their strong spirits, all female lineup, and garage rock sound is definitely similar to that of some Riot Grrrl bands. Even though this duo of sisters from California has been around for a little bit, I only recently discovered this talented band through the Armstrong family… as in Billie Joe (from Green Day) and Joey Armstrong (from SWMRS). Both have mentioned the band and raved about their talent on Instagram and I immediately knew I had to check them out. This band sounds the closest thing to an actual Riot Grrrl band without actually being one. These girls go so hard and I feel so cool blasting their tunes. Their instrumentals transport listeners back to the Riots Grrrl scene, as well as their sarcastically-sounding vocals. This is the only band on the list that actually identifies themselves as a Riot Grrrl band, and boy do they sound like they came straight out of the ’90s scene. 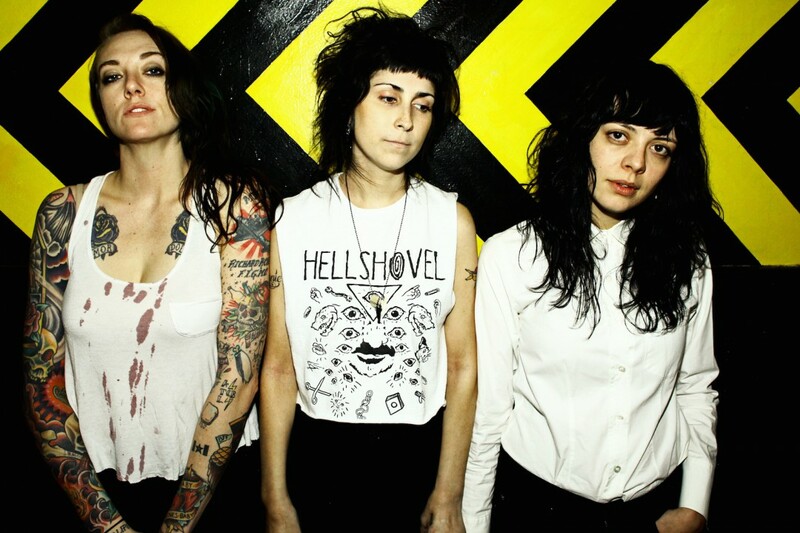 Even though it seems as if the genre has died down, The Coathangers were lucky enough to have a spot on the Atlanta, GA music festival, Music Midtown’s 2016 lineup. This band is extremely underrated for how powerful and talented they are. Who are your favourite Riot Grrrl artists/bands?